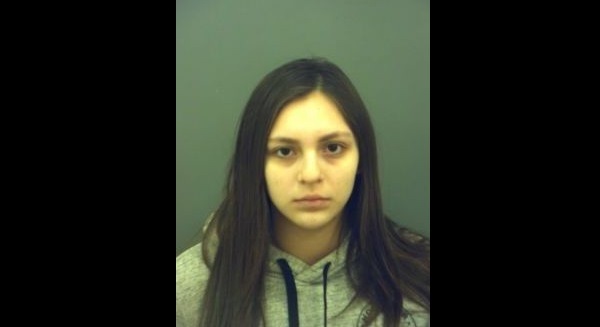 Erica Gomez, 17, of El Paso, Texas has allegedly stabbed her newborn baby to death minutes after giving birth. According to police reports, Gomez gave birth to the baby in her bathroom, stabbed it, wrapped it in a bathrobe and placed the body in a neighbor's shed. Afterwards, Gomez went to sleep in her bed. Her mother noticed that she was bleeding and took her to the hospital where she was told she had a miscarriage. The body of the newborn baby was discovered twelve hours after the birth by a 13-year-old neighbor. Gomez was taken into custody and reportedly told the police of what happened. According to reports, Gomez did not anyone about what happened because she was scarred. Erica was arrested and is held at the El Paso county jail on a $800,000 bond. If found guilty, Erica may face first degree murder charges, and serve time in prison. If and when she gets out, her records will become public records that will be available to others. Those that wish to so will be able to conduct a background check on Erica and find out more about her past. In this day and age, is it very important to be able to get information about other people, especially when they committed crimes, that can affect their relationship with others. Bankruptcy Laws in Missouri: Find out what are the Missouri bankruptcy laws and what to do in case of bankruptcy. Bankruptcy Laws in Pennsylvania: Find out what are the Pennsylvania bankruptcy laws and what to do in case of bankruptcy. Bankruptcy Laws in Kentucky: Find out what are the Kentucky bankruptcy laws and what to do in case of bankruptcy. Learn more about the New York judicial system. Find out how the judicial system in New York operates!